28th Sep has a special significance in the annals of the history of the Regiment of Artillery as the first Indian Artillery Unit, 5 (Bombay) Mountain Battery equipped with 2.5 inch RML Gun, was raised on this day in 1827. The Regiment celebrates the occasion every year as Gunners’ Day. 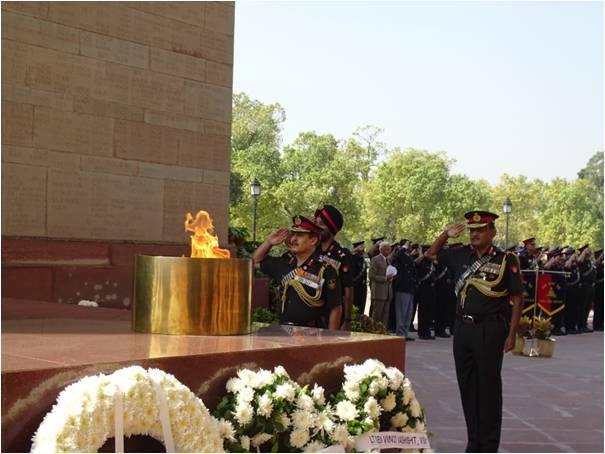 The Indian Artillery celebrated the 188th Gunners’ Day on 28 Sep 2015. The Regiment proved its mettle during the operations of 1947-48, 1962, 1965, 1971 and 1999. In addition, since the mid 1980s, gunners have been fighting shoulder to shoulder with the infantry in counter insurgency operations in Punjab, J&K and the North Eastern States. The Indian Artillery is modernising rapidly with acquisition of 155 mm calibre gun systems in the towed, self propelled and air portable versions. The introduction of long range weapon locating and surveillance radars and unmanned aerial vehicles have increased the reach and enhanced the ambit of battle field transparency. The latest addition to the armoury is a supersonic land cruising missile capable of destroying pin point targets deep inside the enemy territory.